Turkish President says his country has shared recordings linked to murder of Saudi journalist with five countries. Turkey has shared recordings linked to the murder last month of Saudi journalist Jamal Khashoggi with Riyadh, Washington and other capitals, President Recep Tayyip Erdogan said Saturday, according to AFP. 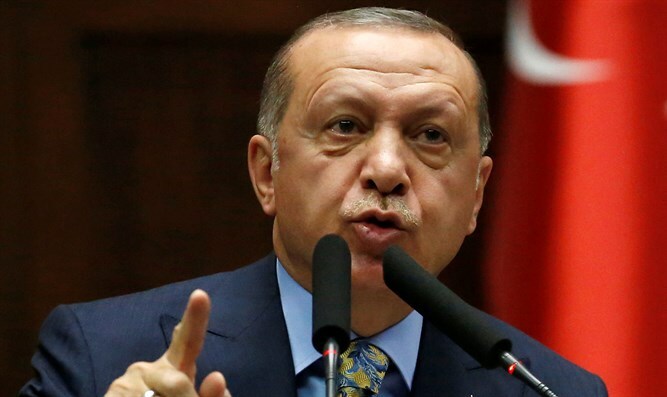 "We gave the recordings, we gave them to Saudi Arabia, we gave them to Washington, to the Germans, to the French, to the English," Erdogan was quoted as having said in a televised speech. Khashoggi was last seen entering the Saudi consulate in Istanbul on October 2 to obtain documents for his forthcoming marriage. Turkish authorities recently provided new details about Khashoggi’s murder, saying he was strangled as soon as he entered the Saudi consulate in Istanbul and his body was dismembered and destroyed as part of a premeditated plan. While Saudi Arabia says the 59-year-old Khashoggi was murdered at the mission in a "rogue" operation, Erdogan has accused the "highest levels" of the Saudi government of ordering the hit, while some officials have pointed the finger at Crown Prince Mohammed bin Salman. The existence of such a recording has never been officially confirmed, however. US Secretary of State Mike Pompeo recently said it would take a "handful more weeks" before the United States has enough evidence to impose sanctions in response to the killing of Khashoggi. He stressed that Trump had made it clear Washington would respond to the killing.